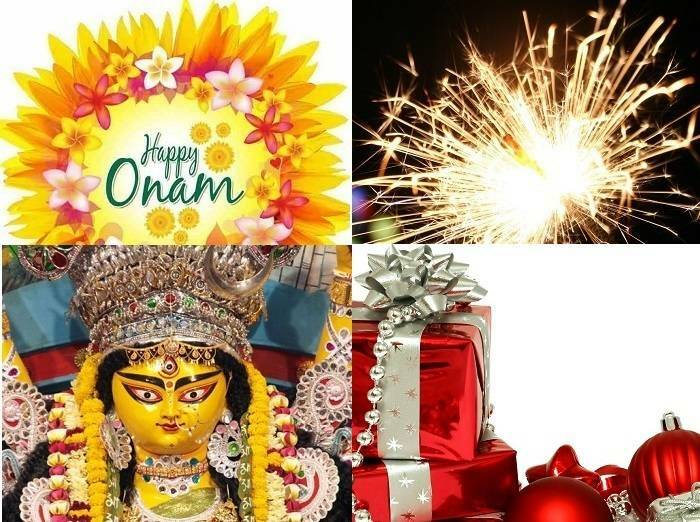 After some hectic marketing activities round Raksha Bandhan earlier this month, brands are now all geared to tap into the festive season fervour with the beginning of Onam festival from August 25, which incidentally was also the first day of Ganesh Mahotsav. Brands are all armed with their advertising campaigns, marketing strategies, deals & discounts and innovative on-ground and on-air activations. When it comes to building up campaigns, radio has been serving as an important medium for brands. On the whole, the radio industry hasn’t seen too cheerful times of late – what with a damp Q1 FY2018, the aftereffects of GST and demonetisation, tightening of budgets by the real estate, FMCG and automobile sectors. Radio players are looking for an upswing in market sentiments this festive season and an increase in ad spends of about 20 per cent; some players believe the number could go up to as high as 30-40 per cent. The radio industry, like many other sectors, faced the ripple effects of various policies during the first half of 2017. Demonetisation, RERA and GST, had an immediate short-term effect on the industry. However, radio players are optimistic about the long-term benefits of the new regulations and hopeful that the festive season would witness an upsurge in advertising. Rajat Uppal, National Marketing Head at Red FM, believes that though the year has been slow so far, this period of festive season promises to be better and would help in recovering from a sluggish year. According to Uppal, Harrish M Bhatia (My FM) and Abraham Thomas (Radio City), market sentiments are quite upbeat with the impact of government policies wearing off and advertising already picking up for categories like automobile, lifestyle, banking and FMCG, which will improve further across categories September onwards with the advent of the festive season. “Between now and October, the radio industry should see spends of Rs 620 crore-Rs 650 crore approximately. Since H2 of last year was slower than H1, everyone is expecting that H2 this year will be better than the one of last year.” added Rajat Uppal. 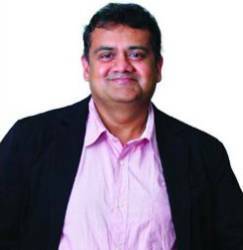 On the contrary, Prashant Panday, Chief Executive Officer, Radio Mirchi, feels that the market sentiments look weak this festive season with low government spends, a sluggish real estate and other retail segments continuing to remain under par, even as other categories like consumer durables, auto and FMCG are showing a return to normalcy post the demonetisation and GST effect. “If the business returns to normal after being disrupted for one reason or the other in the last 8-9 months, radio will report growth in the festive quarter of October-December with segments like real estate, jewellery, durables, mobile phones, tours and travels, auto and retail outlets, who are big spenders during festival seasons,” Panday noted. 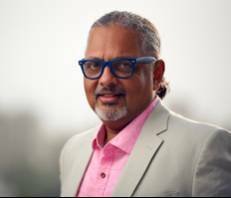 Ashish Bhasin, Chairman & CEO - South Asia, Dentsu Aegis Network, pointed out that there will be a lot of local and retail advertising, particularly around sales and promotions, which will start all the way from Ganesh Mahotsav and go on till New Year. Radio is already a critical reach medium for advertisers, and coupled with its ability to localise and personalise the message for the listeners has made the medium a significant one for impactful advertising. All major radio players agree that radio’s share in the overall media and entertainment industry pie stands at 4-6 per cent of the total advertisement market size. National advertisers are now using the true power of radio for local audiences, while local advertisers continue to use the medium to generate reach more effectively. A radio revolution is brewing and radio spends are expected to grow further. 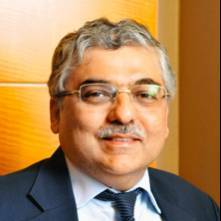 Ashish Bhasin is of the opinion that while radio is not one of the fastest growing mediums as compared to digital, which is followed by outdoor and television, there would be a steady growth. He, however, doesn’t see any substantial spike as such. “It is an important medium which continues to hold on its own, but not a fast growing one,” he maintained. 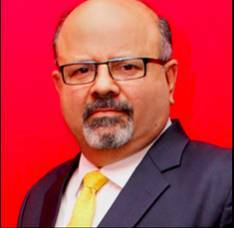 While Harrish M Bhatia, CEO at My FM, is of the opinion that the spends on radio are generally 15-20 per cent higher during the festive season compared to the rest of the year, Prashant Panday feels there won’t be any significant change in ad spends on radio with the festive season. The festive season leads to a lot of innovation and creativity in the way a brand communicates with the audience and clients are now demanding more solutions rather than media proposals. Clients are becoming even more results focused and radio players who deliver solutions should do better this festive season, feel the FM players. While stating that Radio City has been the only FM station to report a growth trajectory and deliver a strong performance in Q1 FY18, Abraham Thomas, Chief Executive Officer, Radio City, credited the results to the station’s expansion post the Phase III auctions. “Our strategy of tapping diverse categories for advertising revenues aided us further and we will use the festive season as an opportunity to further strengthen our performance,” he affirmed. While maintaining that last year was going good until demonetisation hit the economy, Red FM’s Uppal pointed out, “Radio as a segment was hit badly too but some of the new station launches did help in gaining some lost ground. Post Demonetisation last year in November, there was a lull in H2 whereas this year we expect the festive season to give radio revenues the upswing which is much needed." Meanwhile, Prashant Panday of Radio Mirchi felt that for electronic media, fitting all the advertisers onto their channels would be difficult and to that extent, the losses of H1 will not be fully recoverable in H2. On the other hand, My FM’s Harrish M Bhatia holds that the prospects are much better compared to last year. While this year the advertisers – both corporate and retail – had held back the spends in Q1 owing to change in government policies, and the quarter was bad for all categories and industries in general, Mehrotra maintained that the sentiments are now positive and upward looking with festive spends taking a hike of around 30-40 per cent this year. Conventionally festivals are more about schematic advertising and reach and CPTs are the drivers of business. The festive season provides marketers an opportunity to develop innovative campaigns that create a disruption in the market. Everyone wants to make an impactful brand campaign and engage with their users more effectively. Innovative conceptualisation and storytelling is a formula that brands are adopting to build recall and developing a competitive edge. Radio players are increasingly coming across brands that want to adopt a radio-specific approach. Marketers have realised that in the world of advertising, one size does not fit all. This has brought a positive change in the industry with ad campaigns being designed specifically for radio listeners. Radio City’s in-house creative agency, AudaCITY, has done some exemplary work in the recent times and there are more campaigns that they aim to launch during the festive period. 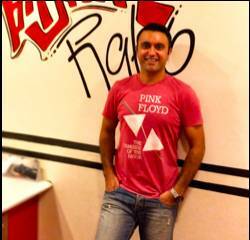 Red FM, too, feels that there is more focus on radio-specific creatives and jingles nowadays. A lot of companies are also roping in celebs with distinct voices to do their creatives, which are increasingly becoming multilingual to capture the local audiences more effectively. Tactical ads to announce specific sale plans have become a very integral part of radio plans.